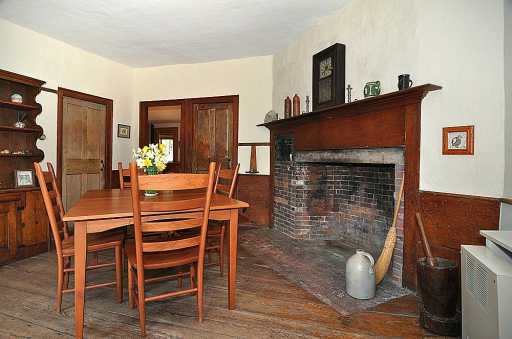 The Daniel Potter house is listed in the Statewide Historical Preservation Report of the RI Historical Preservation Commission. 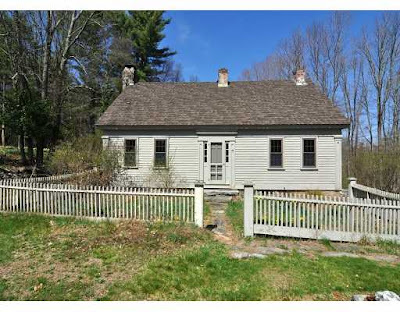 A Cape with post and beam construction, this 3-bed, 2-bath house sits on 14+ acres plus there is an adjacent 5-acre lot also available. The keeping room fireplace has a beehive oven. With wide board wainscoting in the keeping room, some additional original details are doors with thumb latches, wideboard floors in upstairs bedrooms, hand-hewn roofbeam with wooden pegs, and lathe and plaster walls. 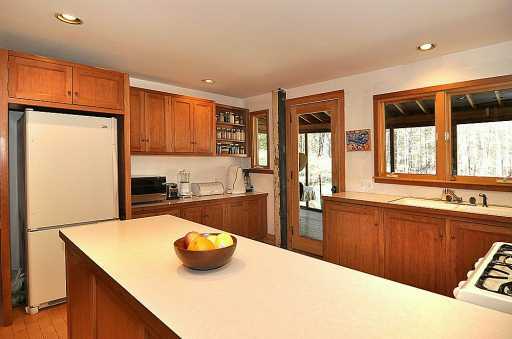 The kitchen was remodeled in 1999 with custom cherry cabinets and birch floor. There is a 10x32 screened porch off the kitchen. Property includes flower beds, organic vegetable gardens and a shed.